At around 6 a.m., a shop owner somewhere in America opens his store, rolling out his awning in the process. In the suburbs, groups of friends lounge under a patio awning on a Sunday afternoon, dreading the coming of another workweek. These and other similar scenes are repeated all over the U.S., from back in the 19th century up to today. The awning was a silent witness to how Americans lived through the century, providing shade and shelter when it rains and shines. The basic function of the awning remained the same, only the fabric and design and the addition of motors has changed. These days, you’ll see retractable awnings in front or on the sides of restaurants, malls, or maybe your favorite coffee shop. Daytime sees it rolled out, providing shade from the otherwise hot sun. At night, it may be retracted all the way, providing al fresco diners with a view of the night sky full of stars. Whatever the reason, you believe that your home will benefit greatly from a retractable patio awning. History tells us that the first awnings became popular in the Middle East and Africa. These were not sophisticated and stylish awnings; just ordinary hides and woven mats and old cloths tied to poles and the poles stuck to the ground. They provided instant relief from the burning desert sun. This meant that their business is open and trade could begin. A century and a half later, American re-invents the wheel by making the awnings retractable. Europeans saw what they’ve done to the awning, and since awnings define the look and feel of European store fonts and windows, it’s only but natural that they adapted the technology as well. The Europeans tinkered with it a bit, and now it’s making a comeback in the U.S. market for home and business applications. 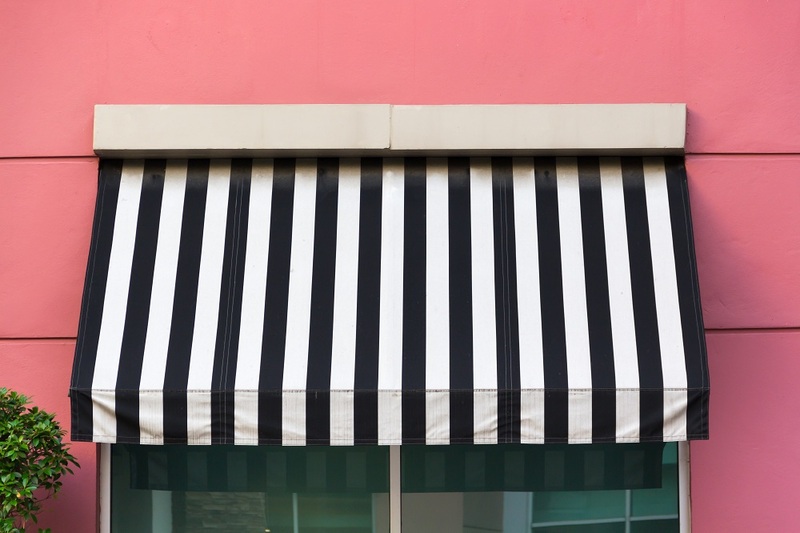 Awnings have stayed true to their original purpose: to provide shade. Before the invention of the air conditioning, awnings, along with drapes, curtains, blinds, and shutters were the only providers of natural climate control. An awning blocks the sun’s UV rays while allowing daylight and air to circulate between the exterior and interior of the house. In business establishments, customers are protected when it rains; and when the sun is hot, awnings prevent window displays from fading. The retractable patio awning of today has evolved in terms of fabric options and designs. Some are simple while others are stylish, but all of them are attention grabbing. The cost is among the top considerations of home and business owners. If you think of it carefully, a retractable awning is not just a costly and useless addition to your property. It provides a host of benefits. Smaller ones would start at $500 and it gets up to $2,000 for the larger, higher-quality ones. Since there’s installation involved, you would want the professionals doing it, which isn’t too expensive at $175 to $300 on average, depending on the size. 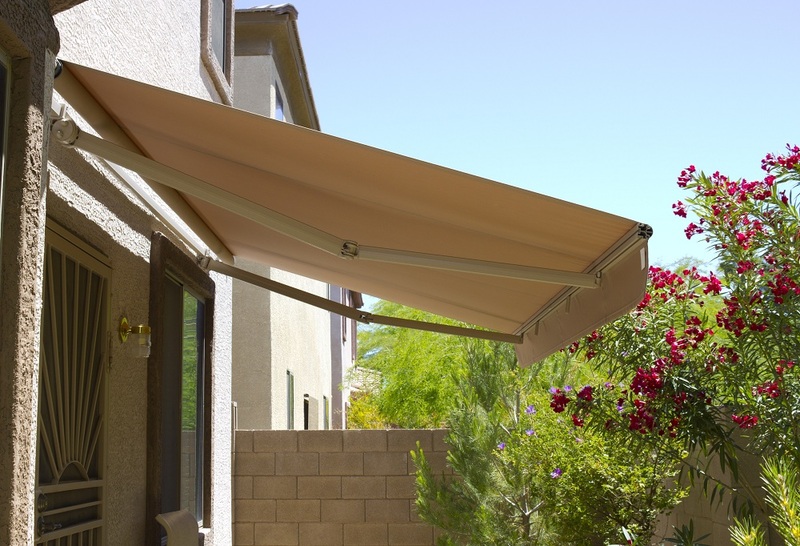 If your retractable awning has a motor, rewiring it would cost $80 to $150. A retractable patio awning will become an integral part of your home décor and a reflection of your personality. There are many options to choose from, but installing one is among the best decisions you could ever make.